There is a strong tradition of high-caliber jazz performance at UNC. 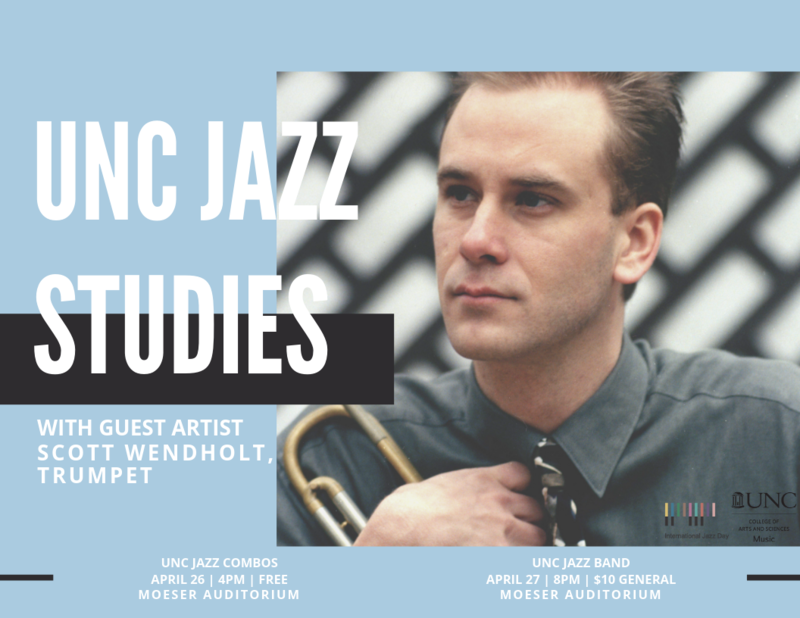 The jazz area consists of performance ensembles, including the UNC Jazz Band, UNC jazz combos, Charanga Carolina, and UNC faculty jazz ensembles. Course offerings in jazz theory/harmony, jazz improvisation, jazz history, and jazz arranging. 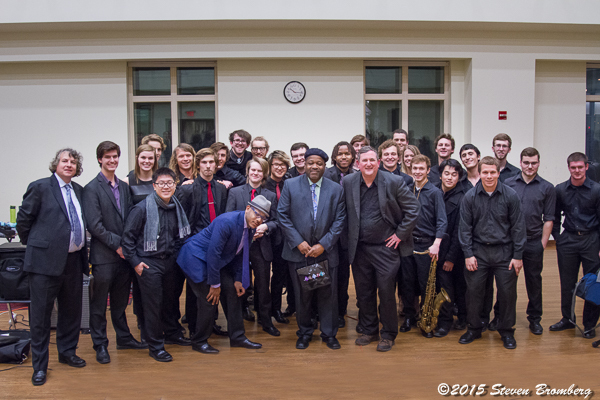 The Jazz Band and the jazz combos provide concerts on campus twice each semester. Many of the concerts feature guest artists who spend several days in residence on campus. In recent years, clinicians have included Andre Hayward, Sara Caswell, Alphonso Horne, Patrick Bartley, Jr., Carl Allen, the Marcus Roberts Trio, Wycliffe Gordon, Jamey Aebersold, Etienne Charles, Rodney Whitaker, Walter Smith III, Mark Whitfield, and many others. The combos also frequently perform at a variety of venues on campus and in the Chapel Hill area. Information regarding jazz courses, jazz ensembles, and how to prepare for jazz auditions, as well as jazz faculty contact information is posted at the tabs to the left. For further assistance with any inquiries that may not be answered by reading this page, please feel free to contact Professor James Ketch (Director of Jazz Studies) or Dr. Stephen Anderson (Jazz Studies [jazz piano] and Composition).